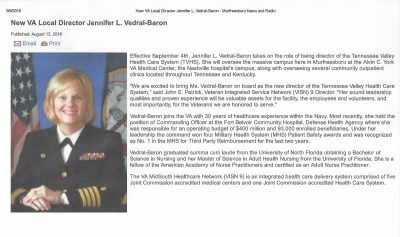 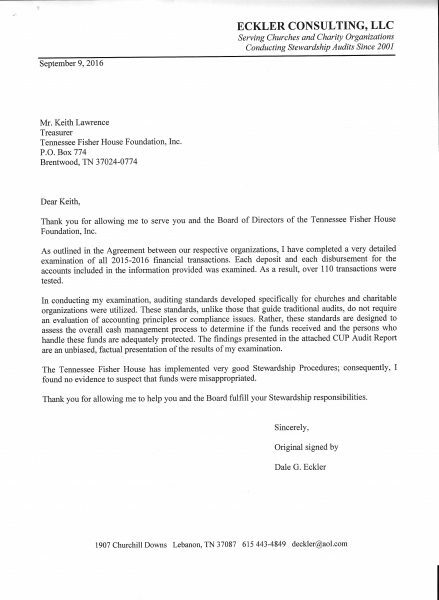 2015-2016 Audit Letter – We Received an “A+”, as usual!! 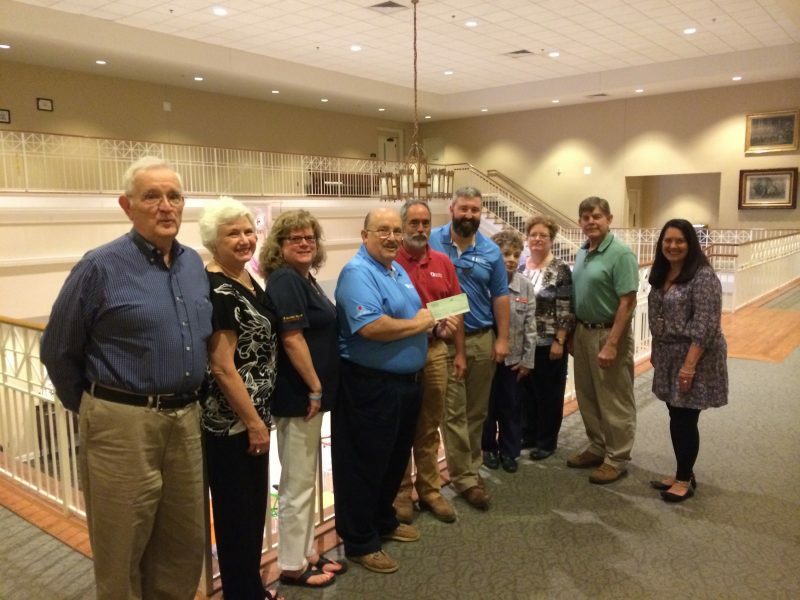 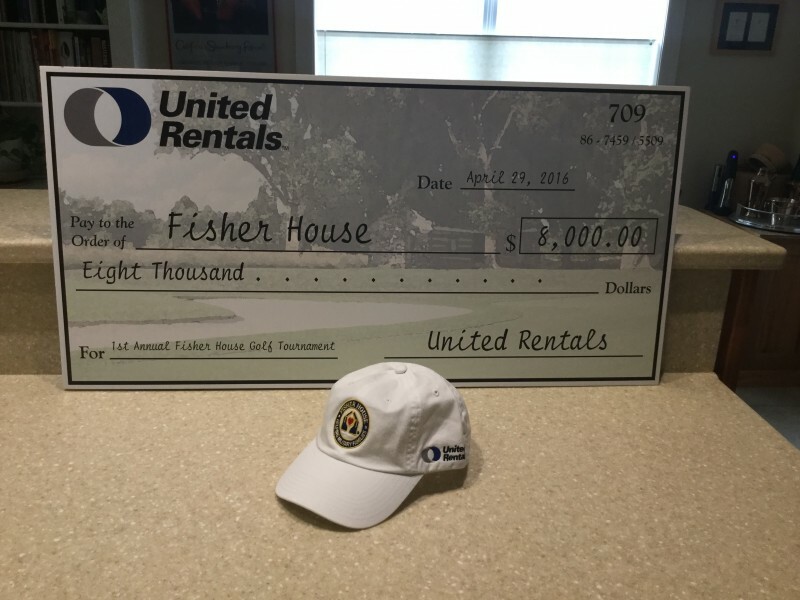 United Rentals Golf Tournament nets $8,000 for TN Fisher House!! 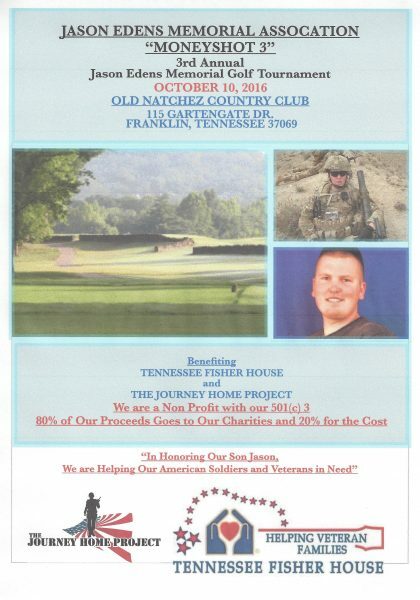 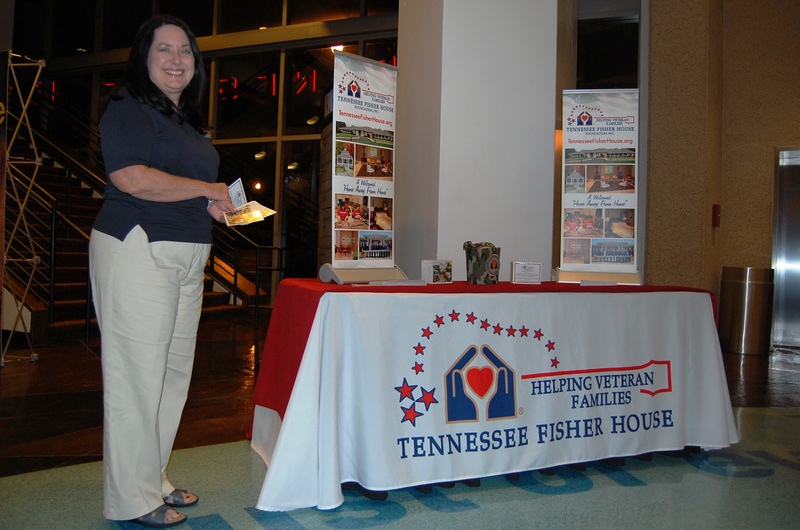 The TN Fisher House was invited to have our display and give out information at the June 6 “Heroes” night on the 70th Anniversary of D-Day at the performance of WAR HORSE. Wanda Henslee-Curtis handing out information and thanking veterans for their service. 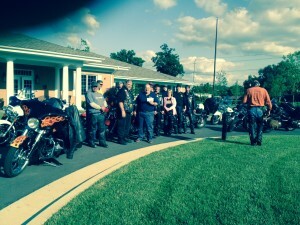 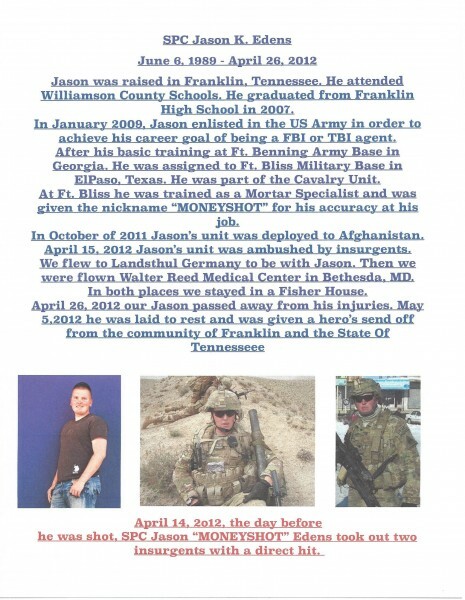 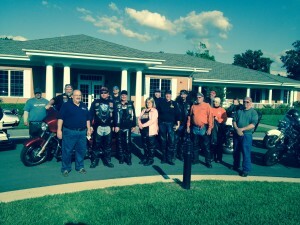 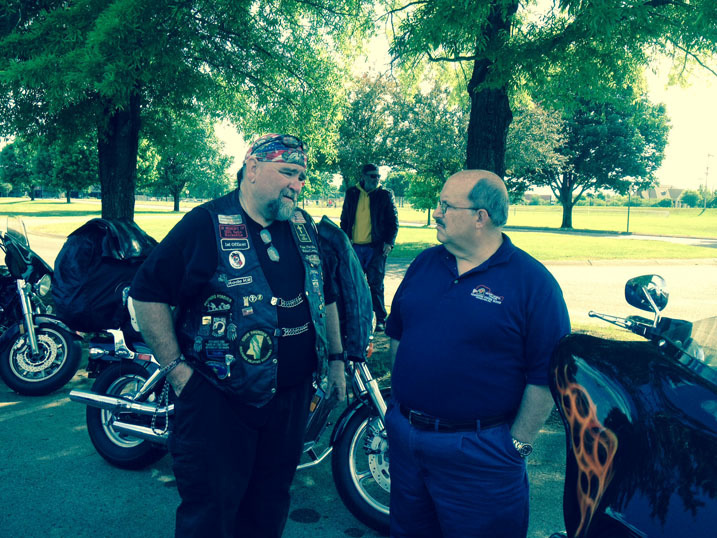 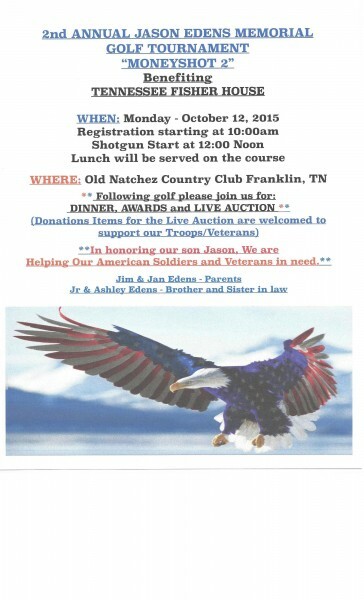 A group of 23 folks rode motorcycles to the Tennessee Fisher House to make a donation of $5,576.75 in honor of SSG Seth Ricketts, the fallen soldier son of Mr. Bill Rickets of Corinth MS. SSG Rickets died Feb. 27, 2010 of wounds sustained in Afghanistan. 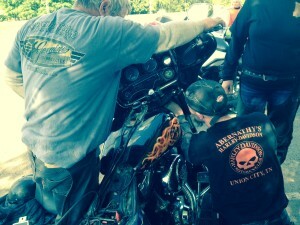 Along the way, they had the unfortunate mishap of a bike breaking down. 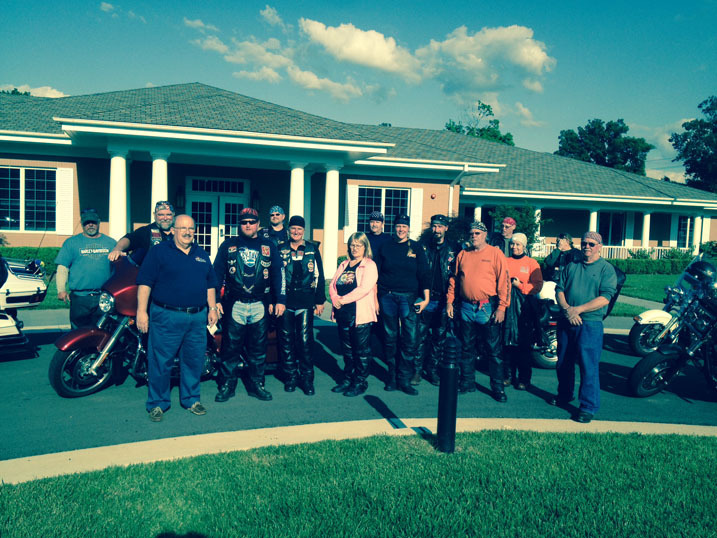 However, all pitched in, repaired the bike, and made their way to the Tennessee Fisher House for a tour and presentation of the donation. 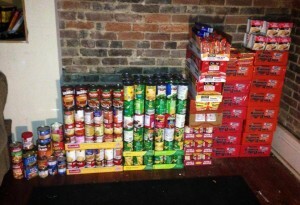 THANK YOU, MTSU KAPPA SIGMA! 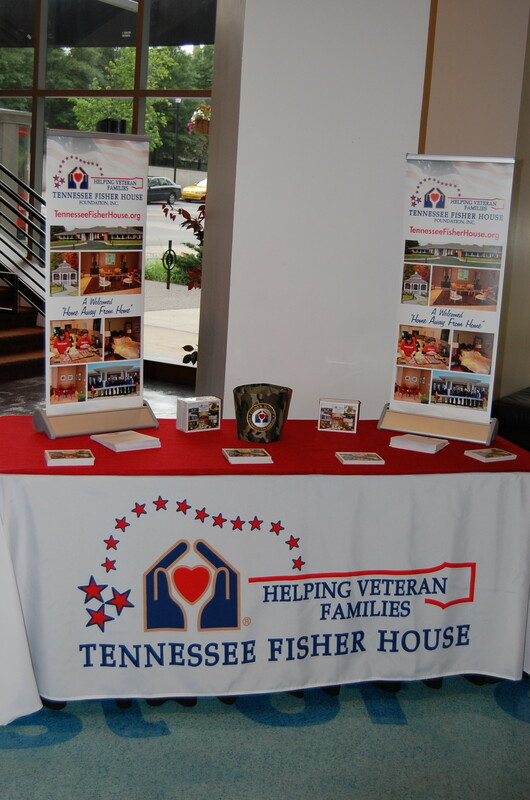 Having taken hundreds of WWII veterans to their Memorial in Washington, the Music City Honor Flights are being discontinued due to lack of applications and donations of funds. 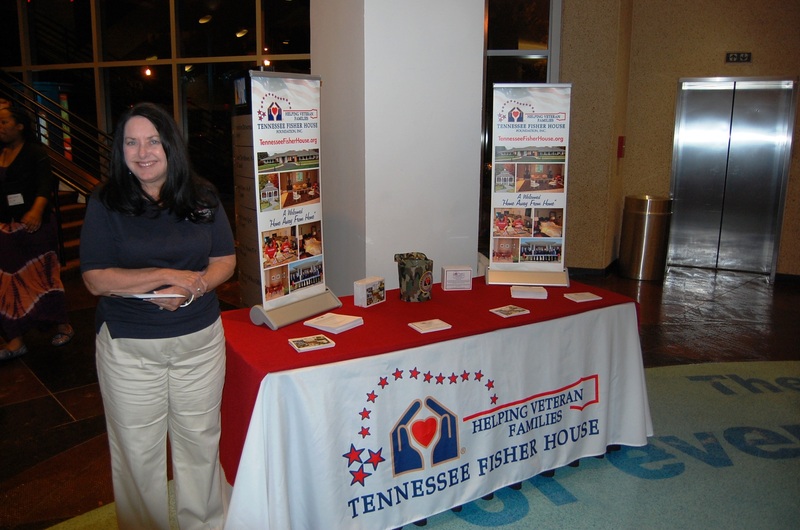 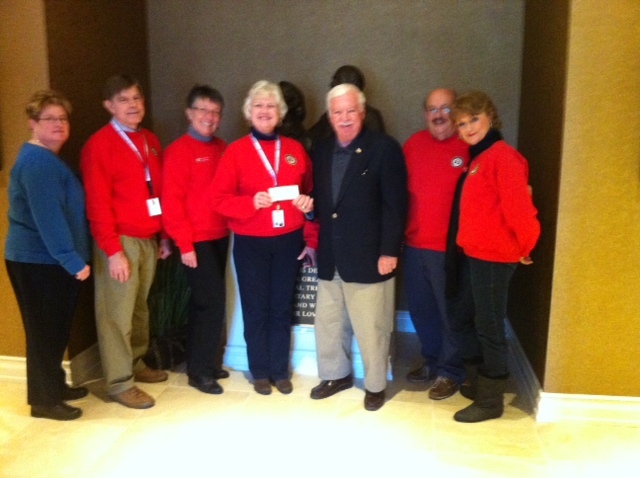 Pictured are TN Fisher House Board Members Felicia Hix, Keith Lawrence, Mary Lou French, John Furgess (TN Fisher House Board member and Music City Honor Flight Chairman), Phil Barnett and Anne Kyle.